On June 25 all progressive humanity celebrated Day of the Seafarer, addressed to “Seafarers wellbeing”. As usual, it was trumpeted around by all available means. As usual, all said, written and published was void of any sense and practicable meaning, and cloying to the point of nauseating. Inmarsat published a report on the value of connectivity for seafarers’ wellbeing, together with International maritime charity Sailors’ Society, and with researchers from Royal Holloway, University of London, to examine the effect on seafarers who have limited or non-existent digital access. Thank god now we know, that it is better to sail around having connectivity, than having none or restricted. We’ve been in total darkness on this matter until report enlightenment. Solent University, with the bunch of other bodies, including Nautilus, InterManager and a number of others, came up with The Mentoring Seafarers’ Project (funded by ITF, maybe because it was cheapest option of necessary spending ITF Seafarers’ Trust on something? ), something totally indescribable, let alone understandable. I asked several Captains whom I know, what do they know about The Mentoring Project, and found them totally frustrated. Their first question was – will there be one more check in ports addressing the compatibility of my ship and crew with this Project? I said – “no”, as far as I know it’s not yet obligatory. Then “f.. it all off”, they said, and visibly relaxed. At the core of our campaign this year, we created an online survey to collect seafarers’ feedback. We want to hear from you to make sure you know what your rights are and if you feel those rights are being implemented into your operational reality. 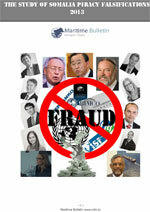 The survey’s feedback will be fed at IMO Council to make sure member states are aware of your comments. So take the survey. Click here or on the image below to take the survey. At last! 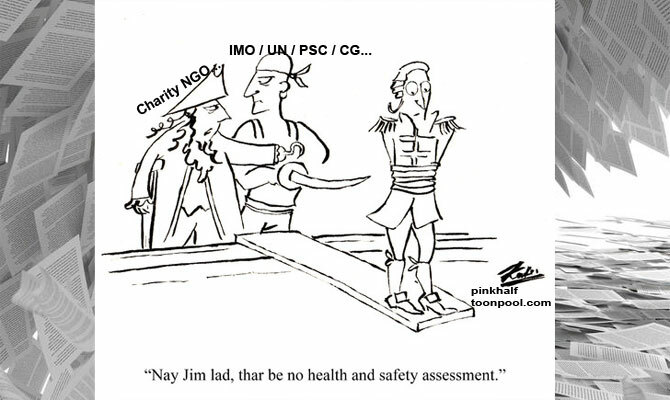 At last IMO Member States will be aware of seamen wellbeing and problems. Until then, not they, nor IMO, have the slightest idea on what is bothering seafarers. On the face of it, seafarers are pampered as children by loving parents, by already innumerous organizations. NGOs preoccupied with seamen wellbeing are proliferating at such a rate, that their number will soon surpass that of ship owners. What about problems, which concern seamen, especially officers, much more, than all others taken together, including Mentoring problems, The Gender and Multicultural Crew problems, and a sack of others? What about suffocating number of rules, laws, regulations, requirements and inspections? What about criminal prosecution risks? 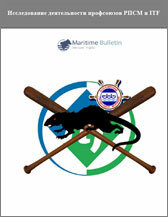 What about mortally dangerous African waters and ports? What about CG and PSC corruption practices? Did you, do-gooders, do anything about it, did you bring in at least one positive move, to lighten the already unbearable burdens of officers? No, you didn’t, because indeed, you’re part of problems which are besieging industry, with your “wellbeing” cabaret show. Your “wellbeing” business (it is a business, make no mistakes about it) is not all that innocent and harmless waste of funds and resources – no. Your “seamen wellbeing” concerns bring in more checks, more regulations, more control, more bureaucracy – and with that, more funds and more power to you. Do-gooders, you want to make Day of Seafarer a holiday, a festival for seamen, a Day to remember and long for? It’s very simple. Make this Day free of all inspectors, inspections, checks and yourselves, with your wellbeing. Leave seamen on this day alone. Let them have parties and barbeques, let them drink alcohol – legally. Let them bloody smoke in the open! Let them stay free from all of you, for just 24 hours. Give them a break.